policy issues, a description of events, suggested questions for discussion, supporting information, and both works cited and further reading. 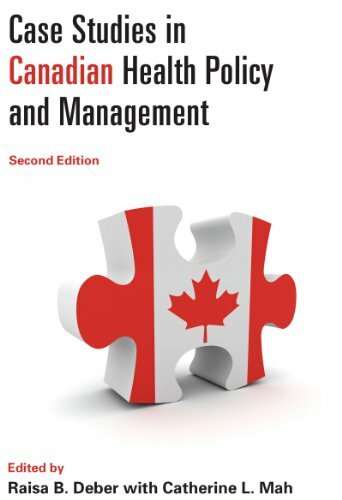 Suitable for graduate and undergraduate classrooms in programs in a variety of fields, Case Studies in Canadian Health Policy and Management is an exceptional educational resource.This second edition features all new cases, as well as adding an introductory chapter that provides a framework and tools for health policy analysis in Canada. A. Paul Williams is an associate professor in the Department of Health Policy, Management, and Evaluation at the University of Toronto. Raisa B. Deber is a professor in the Department of Health Policy, Management, and Evaluation at the University of Toronto. Patricia Baranek has an adjunct position in the Department of Health Policy, Management, and Evaluation at the University of Toronto. Catherine L. Mah is an assistant professor in the Division of Public Health Policy at the Dalla Lana School of Public Health at the University of Toronto.